Broadband internet is highly prevalent in today’s world but a lot of people are still using a dial-up connection for one reason or the other; some people believe they don’t need a broadband internet connection yet, and some don’t have the money to afford a broadband internet connection. Irrespective of what your reason is for using a dial-up internet connection this post will be giving you some tips on getting the best from your dial-up internet connection. 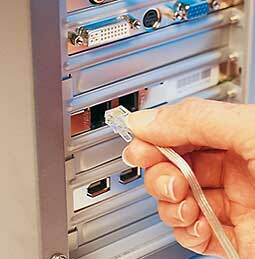 Anytime you’re about to connect to the internet using your dial-up connection you will have the option to either dial straightaway or to allow your computer to remember the password so that you don’t have to enter it again when trying to connect to the internet. Dial-up can be somewhat complicated due to the need to keep entering your details when trying to connect to the internet; enabling this option will prevent you from doing the same thing over and over again thereby finding it easier to connect to the internet. Dial-up internet can be frustratingly slow but there have been technological improvements that makes it easier for you to access websites online. A great way to make sure you get more speed from your dial-up internet connection is by using speed boosters. By making use of compression technologies speed boosters will make internet browsing seamless for you. Making websites to load fast is one thing, downloading files faster is another thing. As far as you use the internet you will always have cause to download at one time or the other. Another way to get the best from your dial-up connection is by making use of download accelerators. These accelerators will give you several options that will make downloading fun for you; some options you will be given by the best download accelerators are the ability to pause downloads, increased browsing speed and the ability to use a proxy server when trying to download. One of the best download accelerators is DAP from Speedbit.com.